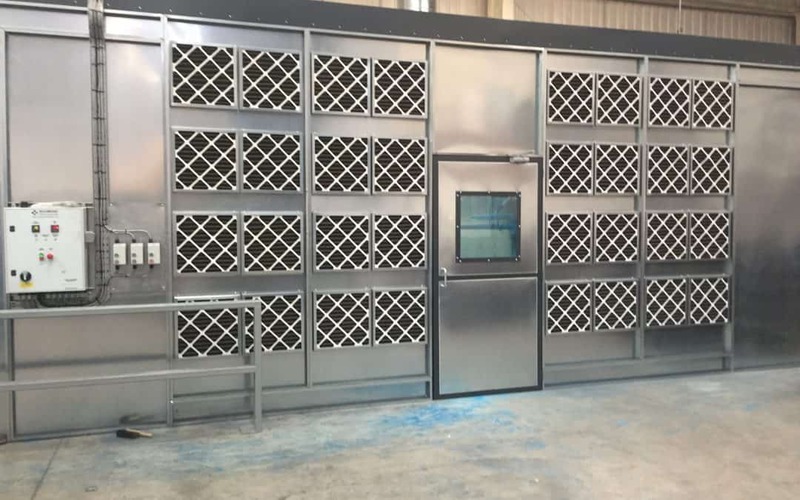 Range Powder Coating have a brand new state of the art powder coating oven which is one of the largest in the UK, and can apply powder coatings to a wide range of metals & components. There is more to Powder Coating than just applying the powder & putting the parts in an oven. The most important issue is Pre-treatment, if the surface is not free of grease, oils, rust or scale then a quality finish is impossible to achieve. Every single item we powder coat is carefully pre-treated before the powder coating process begins. Maybe you would prefer your product to be brightly coloured or maybe it’s the durability that’s important. Whatever the reason RSE can adapt our coating to suit your needs. Powder coating is a modern, more environmentally friendly alternative to wet painting. Minute powder particles are applied to a metal object or component using an electrostatic spraying process. The powder is applied to the item in question and then baked at very high temperatures curing the powder and causing it to set solid, creating a durable, great looking & highly protective coating. We offer a powder coating collection & delivery service to Dewsbury, Batley, Leeds, Morley, Pudsey, Huddersfield, Wakefield, Mirfield, Ossett, Bradford, Keighley, Halifax, Shipley, Bingley and all surrounding towns and villages. Range Powder Coating are a well established local company. second generation family firm with true values at its core. We are proud to be CHAS approved and hold the ISO 9001 certification as well as being ROSPA compliant so you can be sure that our steel pallets will consistently exceed expectations. We strive to be as competitive as possible and will make every effort to match prices quoted on a like for like quotation. To find out more speak to our metal pallets & steel stillage experts on our 01274 736363 or complete an online enquiry.